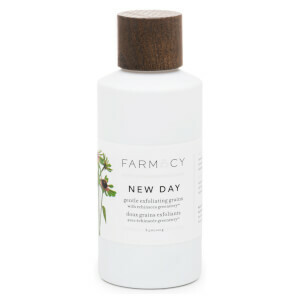 Treat your skin to the Honey Drop Lightweight Moisturising Cream from FARMACY, a New York-based brand that combines innovative science with clean, locally grown ingredients to deliver farm-to-face skincare with effective results. 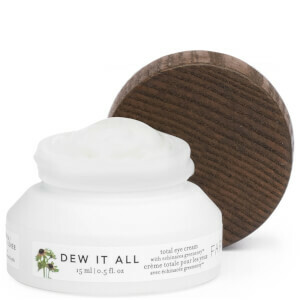 Fortified with a Triple Hyaluronic Complex and Honey from pollinated Echinacea GreenEnvy™ (the brand's patented and exclusive plant), the luxurious gel-cream infuses skin with long-lasting moisture and hydration for a plump, healthy appearance. Lightweight and quick-absorbing, its blend of Royal Jelly and golden Cupuaçu Butter Beads replenishes nutrients and amino acids to leave skin feeling soft and supple, without greasy residue. Arrives with a spatula for convenient application. Water/Aqua/Eau, Glycereth-26, Glycerin, C13-15 Alkane, Echinacea Purpurea Root Extract, Honey Extract, Propolis Extract, Royal Jelly Extract, Hydrolyzed Hyaluronic Acid, Hydrolyzed Sodium Hyaluronate, Sodium Hyaluronate, Theobroma Grandiflorum Seed Butter, Limnanthes Alba (Meadowfoam) Seed Oil, Camellia Japonica Seed Oil, Paeonia Suffruticosa Root Extract, Scutellaria Baicalensis Root Extract, Allantoin, Melia Azadirachta Leaf Extract, Lactobacillus/Soybean Ferment Extract, Melia Azadirachta Flower Extract, Imperata Cylindrica Root Extract, Viscum Album (Mistletoe) Leaf Extract, Solanum Melongena (Eggplant) Fruit Extract, Ocimum Basilicum (Basil) Flower/Leaf Extract, Coccinia Indica Fruit Extract, Adenosine, Betaine, Capryloyl Glycerin/Sebacic Acid Copolymer, Curcuma Longa (Turmeric) Root Extract, Aloe Barbadensis Flower Extract, Corallina Officinalis Extract, Ocimum Sanctum Leaf Extract, Eclipta Prostrata Extract, Flavor (Aroma), Sorbitan Olivate, Sucrose Stearate, Acrylates/C10-30 Alkyl Acrylate Crosspolymer, Disodium Edta, Glyceryl Polyacrylate, Agar, Calcium Alginate, Mica, Iron Oxide (Ci 77492), Propanediol, 1,2-Hexanediol, Methyl Gluceth-20, Diheptyl Succinate,Butylene Glycol, Carbomer, Hydroxyacetophenone, Tromethamine, Cetearyl Olivate, Alcohol Denat., Caprylyl Glycol.